Which Treatments Work For Nail Fungus Infections? 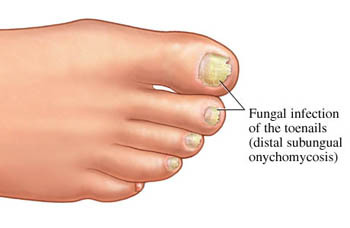 Fungal infection of the nails (nail fungus) medically known as Onychomycosis, is a very common condition especially in the toenails. For most people, nail fungus is not a health risk, but more of a cosmetic problem. However If you are diabetic, have poor circulation and/or a weakened immune system, nail fungus can become a very serious problem. It is imperative to treat nail fungus quickly once an infection starts. Most nail infections are caused by dermatophytes, called that because they only infect the skin (or dermis) and skin structures like nails. Trichophyton rubrum and Trichophyton mentagrophytes cause most of the infection, with T. rubrum responsible for as many as 90% of onychomycosis cases. Candida (yeast) as well as certain molds can also infect nails. Topical medicines – creams, ointments or lacquers applied to the toenails. Removing most or all of the toenail, then using local therapy as the new nail grows out. Removing the toenail permanently by killing the toenail root. Using some other technique along with topical medicines to try and force the medication into the nail. This has included drilling holes and using heat. Alternative and complementary medications, like tea tree oil. Laser therapy, which is used to try and kill all the fungus, often along with removing as much of the thickened toenail as possible beforehand. With the right treatment, you should be able to get rid of a nail infection caused by fungus, even if you’ve had it for years or it’s very bad. But you may have to be patient. It could take months to clear up. To get rid of a fungal nail infection, you will probably have to take a treatment, sometimes for up to six months. Fingernail infections tend to clear up quicker than toenail infections. You may need to take medication for only six weeks for a fingernail infection. Some Prespcription Medication can sometimes damage your liver (though this is rare) and you may have a test to check if your liver is healthy before starting a nail fungus treatment. Normally doctors recommend pills for this condition, but there are also treatments you can put on an infected nail. If the problem is mild, you might be given a nail varnish or use tea tree oil that kills the fungal infection. If your infection is severe or keeps coming back, your doctor might recommend removing part or all of your nail. But this treatment is rarely used. If your nail infection doesn’t bother you, you may wish to leave it alone. There are lots of things you can do to avoid getting a nail infection again. To find out more, see How to keep from getting a fungal nail infection. Which treatments work best? We’ve carefully weighed the research and divided treatments for fungal nail infections into three categories. 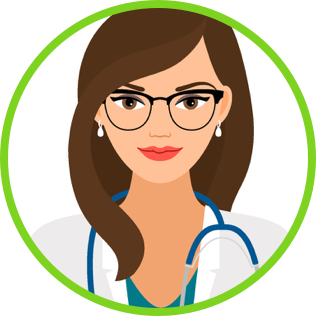 For help in deciding which treatment is best for you, see How to use medical research to support your treatment decisions. Itraconazole pills (brand name Sporanox): These are antifungal pills. They treat nail infections caused by a fungus. Terbinafine pills (brand name Lamisil): These are antifungal pills. They treat nail infections caused by a fungus. Fluconazole pills (brand name Diflucan): These are antifungal pills. They treat infections caused by a fungus. But fluconazole isn’t usually given to people with nail infections. Ciclopirox lacquer: You might want to use this antifungal nail polish if you don’t want to take pills and your infection is mild. The brand name of ciclopirox used for fungal nail infection is Penlac Nail Lacquer. For most people, nail fungus is not a health risk, but more of a cosmetic problem. Many are very unhappy about the appearance of toenails that are infected by fungus. The longer the infection lasts, the more discolored, thickened, ingrown, and deformed the nail. Affected toenails can cause slight discomfort to more severe pain, depending on how thickened, ingrown and malformed your toenail or toenails become. The amount of discomfort also depends on which toenails are affected and what kind of shoes you wear. If you are diabetic, fungal nail infections can become a more serious problem. Diabetics often do not have normal sensation in their toes and feet. That means they may not feel the discomfort of an ingrown nail with onychomycosis. If you are diabetic, an ingrown nail can lead to a bacterial infection in the surrounding tissues. So can any cuts you might accidentally make when trying to trim your toenails. If you do not feel the pain of an infection, it can become serious before you realize it. If you have poor circulation in your legs and feet (called peripheral artery disease or PAD) or an abnormal immune system, onychomycosis may also cause similar problems for you. Therefore it is imperative to treat nail fungus quickly once an infection starts. Thank you for the article! It really helping me to deal with my embarrassing “issue”…. Yes thank you for the article. This product is all natural and works when others don’t. The reason is penetration. This product penetrates the nail and nail bed for a cure. It is guaranteed 100% money back. The secret is the lipid channels in the nail. This has a patent pending carrier system that carries the antifungals through the keratin by means of the lipid channels. I have seen 100s of cure, and the doctors and patients who use it, have seen cures when nothing else works. It should be available in most drug stores within a year.. Right now you can purchase it on the website, or through doctors. Thanks Marc Selner D.P.M. 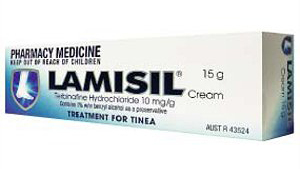 I always kind of cringe when I see Lamisil because it can be a bit dangerous even when used properly. There seems to be a lot of talk about the new laser toenail fungus treatments because they are painless and only take about 45 minutes. The drawback is the cost of about $1000. Some people will just deal with their nail fungus versus paying a grand for the treatment. Despite the costs, it seems to work pretty good. Lamisil is a very bad choice for getting rid of toenail fungus especially when there are other options available that have no side effects and can be acquired for virtually nothing. a lot, hmmm maybe I inadvertently chewed them off and new ones grew on? Well either way it works. to grow out and it looks fine! what product he is talking about? I’ve been treating my toenails with several over-the-counter medicine. None of them seems to cure the fungi but they softened the nails so that I could cut and file them real thin. Actually 90% of the infected nails are gone and the nail bed looks good. However, I had infection as I often cut too deep and the toes bleed. I’m considering buying ZetaClear and lazer treatment in case the former does not work. Determined I was wondering if the ZetaClear has worked for you? I am considering buying it but I’m not sure what product to buy. bear the sight o fit.oh man thinking about it just makes me feel the same. does anyone here have a better suggestion than Zetaclear or Fungusil.Thanks. …yeah right-that’s exactly why i’m here! I have been reading all of the comments and have no clue what to do first? Does anyone have pain associated with their fungus? Mine is very painful, only in my big toes, but the smaller toenails seem to be disfiguring..I thought it was from being on my feet so much and wearing too tight of shoes. Any adivice would be greatly appreciated..
How is this working for everyone? tried terbifine this week 4 tablets in never felt so ill in my life.think i may try laser treatment? Concur with the Magnifying glass. I actually tried it before searching on the internet. Over 15+ years I’ve tried the pills (twice), a multitude of topical treatments, debridement until almost all the nail was gone – It came back every time. On impulse, figuring that lasers are just light, I took my son’s magnifying glass and used it on my toenail. Didn’t take it to a point as that would burn, but got it as small as tolerable and went over the whole nail and could feel it heating up. Did this only twice (the nail was debrided at the time). It has been months now and the nail is alomst fully grown back in with no sign of re-infection. Try it, but be carefull you don’t burn yourself. After having this problem for over 40 years &trying every natural remedy, icluding creams & even having all my nails cut off. I was going to the doc’s to get a precripition for pills, after reading through the replys I’m gonna try the magnifying glass, hadn’t heard of it before, thanks all. Thanks for the magnifying glass treatment idea! Had never heard that. I have tried soaking feet in sunlight after filing them down and putting topical treatments on, but no improvement there. How do you know when it is too much or even enough to do the trick? It’s clear doctors have no clue how to solve most nail fungus problems. There are many types of infection, and factors such as diet and imune system only complicate things. Visitors offer hundreds of remedies, but these folks are rearranging deck chairs on the Titantic, because very few are talking about the real problem — the nail itself, which is a physical barrier between any topical and the infection. Some medicines claim to penetrate the nail but they deliver an insignificant dosage to the fungus to have any noticable effect. If, like me, you are unwilling to take oral medicine owing to the unllikely but serious health risks, you MUST remove the part of the nail over the affected area and remove the junk below it on a weekly basis, then on a daily basis, apply a topical daily (home and over-the-counter). If one remedy doesn’t work, try another, and another. Expect no less than 3 months to clear it up. I removed most of the nail and junk with clippers and applied ciclopirox from eBay (1/10th the price of the prescription laquer), and not laquer based). Took 6 months to kill the fungus. Would have been easier to have used nail removal liquid from the start, but I didn’t know of it, but you can go get it now. I am about to go get laser treatment for the fungus. The podiatrist claims it kills anything living in the nail bed and that it’s very effective. I don’t know if I should believe him. Has anyone tried it? I have had an infected nail for over 6 years, nothing worked, tried terbinifen tablets, lacquers, Vicks, sprays, lotions teatree etc. I have recently been told its psoriasis under my nail, it is now going really fast, I am currently taking a large dose of vitamin D for other reasons, this seems to be working. May be worth a go if you have a stubborn infection like mine. I ve lived wit this infection over 7years ,ve tried many oral and topical drugs but none worked. Can somebody explain more about the magnifing glass. I concur with the sunlight & magnifying lens method. I’ve had nail fungus on one particular toenail for ten years. I’ve used an anti-fungal liquid on it and all my other toes nearly the whole time (I think the liquid has kept any of my other toes from being infected, which BTW is fantastic). Anyway, I began using the sunlight & magnifying lens method a year ago, when I began to feel uncomfortable pressure from the toenail thickening. The toenail was noticeably lighter and the pressure was reduced within the first week or two; so that is a distinct improvement. Although the toenail color has returned to normal I won’t say it’s cured yet since the nail is still thick. I’ll have to wait some more to see if it grows in thinner; however, I’m happy to maintain the status quo with the sunlight treatment & anti-fungal liquid. Incidentally, I feel I contracted the nail fungus from having a pedicure done at a salon. Now, In addition to putting the anti-fungal liquid on all of my toes whenever I get out of the shower, I ALWAYS put the anti-fungal liquid on as soon as I get home from having a pedicure done. My advice to anyone getting pedicures is to invest in a bottle of the liquid as a preventative. Soak your feet in Epsom salt. It’s cheap and effective. I had mild toenail fungus on my big toe. After pairing down the nail as far as I could, then using a file to grate the surface of the nail to thin it out, I applied tea tree oil two to three times a day. After about ten months it was gone, so I stopped using the tea tree oil, but now a year later its back, I guess I need to do maintenance to keep it away when its gone. I’m going to try the magnifying glass treatment in addition to using tea tree oil. Fungus hates sunlight. a few treatments your problems will be over. Thanks a lot lot! Good advices! Another good remedy is the use of special zederna cedarsoles in your shoes. They prevent you from getting nail fungus. I had an infection under one big toe (thanks nail salon lady) the nail cracked off to about half one September and I thought “Great, thats the end of that”. I was hoping that exposure to sunlight would keep it gone but by 4 months later it was not gone. I was considering the $1000 for laser but instead I took a large magnifying glass and treated it with concentrated light almost daily for a month and a half until I could see it growing out clear. I kept it up for another 2 weeks. The fungus is GONE %100. I AM SO HAPPY. I SAVED $1000. It is definitely easier than all the other treatments I have read you guys trying. The talk of laser treatments and sunlight/magnifying glass treatments brings to mind another device that is similar in that it uses RF frequency energy to radiate RF energy subcutaneously. It was invented over 100 years ago by Nikola Tesla and is called a “Violet Ray”. It was sold on the open market until the early 50s when the FDA outlawed it’s use because people were making outrageous claims for what it could and couldn’t do. Despite the fact it was effective for specific things they simply prohibited it’s use for anything. That’s government for you. However it remained legal outside the US and no disasters seem to have occurred. At worst it didn’t work for some ailments, perhaps in part because it was used improperly. However almost identical versions of the device are still made in the US for use by medical professionals, particularly dermatologists where it is used to remove warts, freckles and other skin discolorations. I have several antique devices and several of the devices made in England. (Using antique devices is risky as the electrical design is primitive and potentially dangerous). I have not used it for toenail fungus but in theory it should work as it is sort of an RF (radio frequency energy) variation on what lasers or even magnifying glasses do with penetrating irradiation that can disable if not outright kill living cells. I have used it on skin discolorations with some beneficial effect. Has anybody tried it on toenail fungus? Would be very interested in the result. I had problems with fungus. I solved it quickly with an ointment recommended by pharmacists from my neighborhood. I hope to never repeat, it is a terrible senator.